. 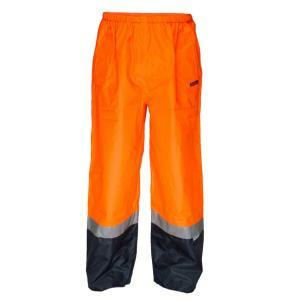 Oxford Waterproof pull-on pants. Boot closure snaps and deep hip pockets. 3M Reflective Tape around each leg. Elastic waist and drawstring for wearer comfort.